Self massage is a good way to reduce stress and relieve tension. With our mobile massagers, you can achieve this all over your body! 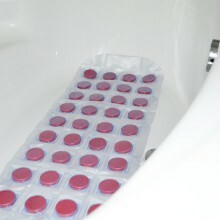 Massage mats are the perfect addition to every body care collection. 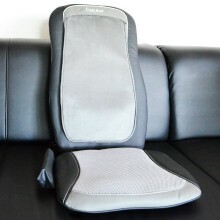 These cushions provide targeted heat, massage or relaxing vibration and are especially flexible in use. you'll melt away muscle tension while you relax or work. The combination of massage and infrared light is especially pleasant. Thanks to the infrared you can bring the healing effects of the massage also to deeper situated muscles. 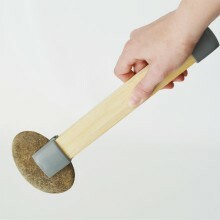 Made of valuable wood and applicable practically everywhere. 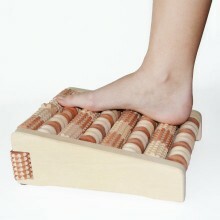 With a wooden footroller, you can offer your feet a pleasant foot-massage even on your terrace or on the beach. The use of hot stones is well-known as a healing technique by the Indian and Chinese people. Using massage and heat, certain parts of the body are stimulated which enhances the flow of warmth to the body's energy centres. Hot Stone Therapy can be used to release tension which is caused by stress, muscle ache and fatigue. 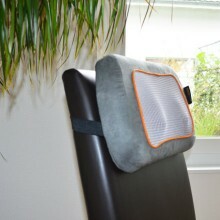 Put your massager simply into a purse and take it with you: to the office, on a trip or wherever you may need it. 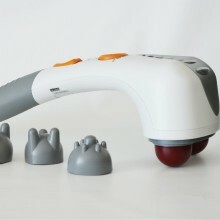 With this you can provide tense bodyparts with a relaxing massage within seconds.